It almost looks like an aerial picture, but this view is actually from Beinn Tart a’Mhill, at 232m the highest hill on the Rhinns of Islay. In front of the lighthouse are Port Wemyss on the left and Portnahaven on the right. Looking across the North Channel you can also make out the coast of Ireland in the distance. 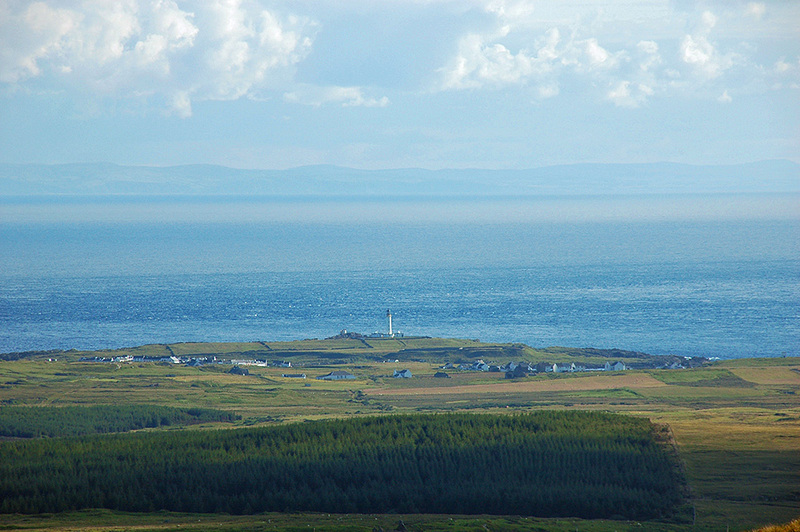 This entry was posted in Cloudy Weather, Landscape, Lighthouses, New Post, Sunny Weather, Village and tagged Beinn Tart a'Mhill, Ireland, Islay, North Channel, Orsay, Port Wemyss, Portnahaven, Rhinns of Islay by Armin Grewe. Bookmark the permalink.